We STRONGLY recommend that you NOT takeoff on Runway 14 unless you have suitable aircraft performance and weather. The runway slopes upward and the hill at the end of Runway 14 is 1000′ above and only 1500 meters away! 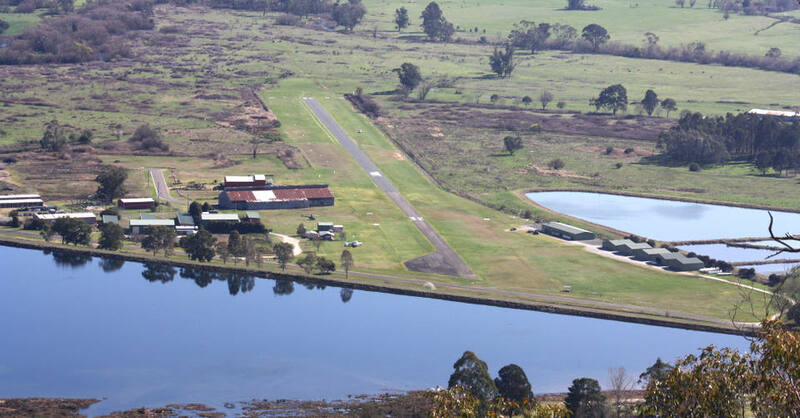 Straight in approaches are not recommended – overfly the airfield to check for aircraft/gliding activity and animals (kangaroos/cows) on the strip. 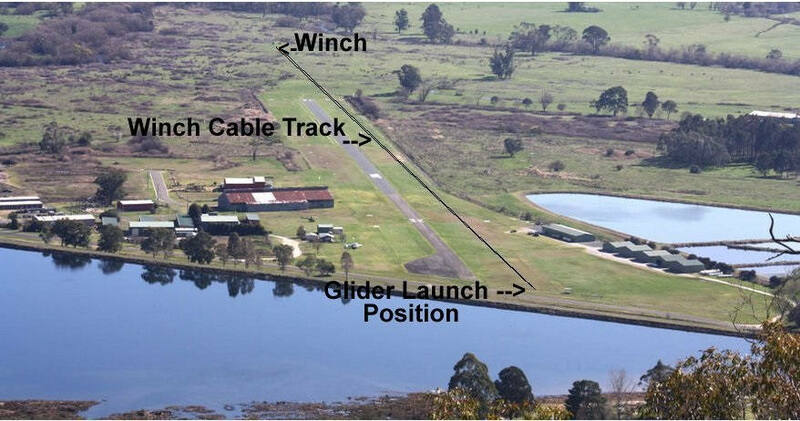 Gliding winch cable may be lying on grass to eastern side of airstrip. Grass surrounds of the strip may become soft after rain. Note that model aircraft operate at the airfield. Even if other aircraft/gliders are not operating, you must make all usual radio calls so that modellers are aware of your intentions. They operate to a code of practice designed to avoid any interference with aircraft/glider operations. Please do not taxi across the model aircraft strip that is marked out in front of the terminal.